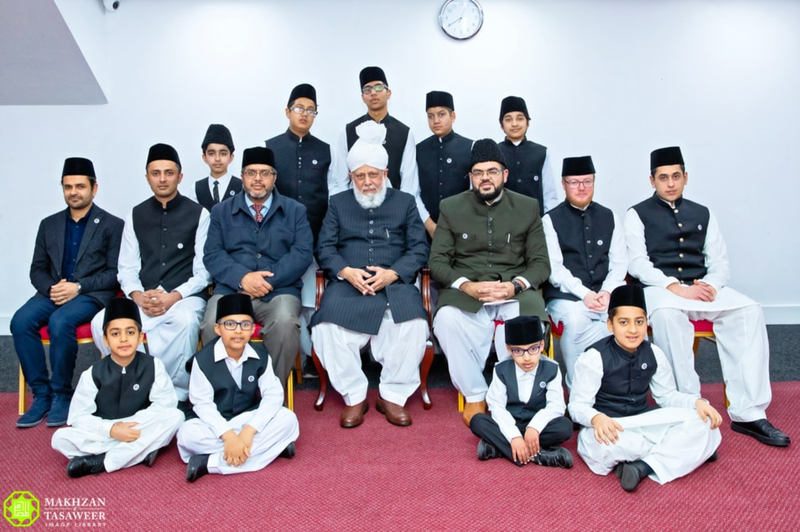 On 23 February, a group of 13 Waqifeen-e-Nau of Ireland, along with parents, had the opportunity to sit in the blessed presence of Hazrat Khalifatul Masihaa. During the mulaqat, Huzooraa answered questions and queries presented by the Waqifeen Khuddam and Atfal, whilst also graciously giving them pens and an opportunity for a group photo. Giving further insight into the mulaqat, Rabeeb Mirza Sahib said: “Huzooraa seemed very relaxed during the mulaqat and, as usual, his answers were a means of great clarity. The guidance from the Khalifa of the time is something that we are very fortunate and blessed to have”. A Khadim enquired about Huzoor’s opinion on Brexit to which Huzooraa said that he had presented his opinion at the European Parliament, which was that he opposed brexit, whilst also voting against it. Huzooraa was asked about what he ate for breakfast by a Tifl. Huzooraa responded by saying that he eats a healthy breakfast which lasts him the day. Huzooraa highlighted the fact that those who have a heavy workload should eat a decent breakfast. One Waqif-e-Nau asked Huzooraa if going to the cinema once in a while was permitted. Huzooraa said that if it was to watch a documentary, then it is allowed, otherwise cinemas should be avoided and instead, if children want to view something, it should be at home with parents. The mulaqat concluded with having the opportunity to meet Huzooraa individually and then having a group photograph.